WinterGreens Farm & Aquaponics – … what's on your plate? 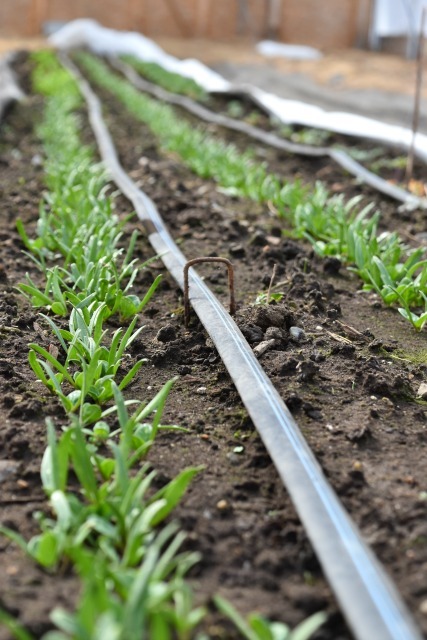 At WinterGreens Farm, we love growing and eating fresh, healthy food. So we decided to bring home-grown veggies to more local folks around us. Our family farm is entering its 6th season this year, but we’ve been gardening and growing good food for a long time around here – all organically and without chemicals or GMOs. Watch us grow, together with our gardens! 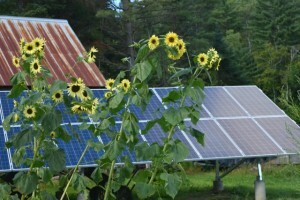 We’re now a solar powered farm! In 2016, we installed a 6.2 kw solar system – enough to power our personal use plus all we need for the farm and have some room to grow. From providing light and heat for our seedlings, to refrigerating our produce, or pumping water – its all done by the power of the sun. Winter has settled in and the plants are taking a break. 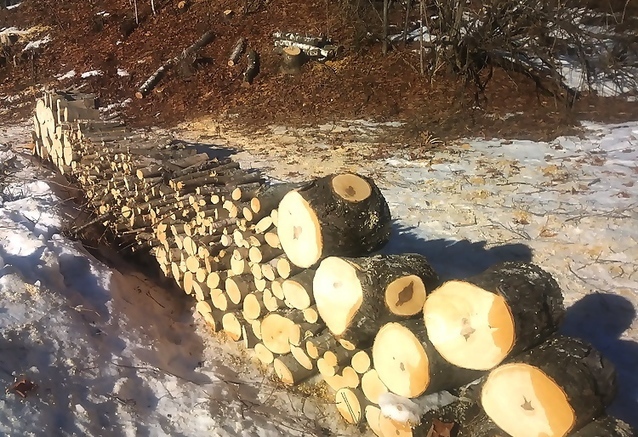 Thanks to a slim snow cover, we keep busy with cutting fire wood – a never-ending task when you heat exclusively with wood. We’re thinning areas close to the house, providing more sun to certain growing areas and also opening up welcome views to the mountains.